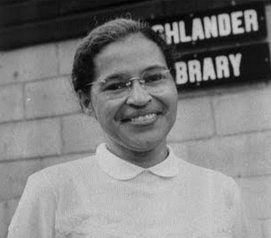 We listen back to an interview we originally aired April 11, 2013 to commemorate the anniversary of Rosa Parks’ death. Jeanne Theoharis, Professor of Political Science at Brooklyn College, joins us to speak about her new book The Rebellious Life of Mrs. Rosa Parks. The book is the first critical biography of Parks, and it is revealing and comprehensive, exploring her activism before, during, and after her famous act of protest in 1955.